Published on December 8, 2011 in Visits. 0 Comments Tags: school. Last Friday Gemma Ingason and Katie Card joined pupils at Baden Powell and St Peter’s Middle School to each deliver five one-hour workshops on the Tudors for Year 5 and World War Two for Year 6. The sessions began by introducing how maritime archaeologists find out about the past by using different methods such as diving, research and geophysical survey. Year 5 became detectives identifying artefacts from a mystery box and trying to work out who their owner was. Children examined coins, medieval pottery, wooden pulley, nit combs and a potato. They discovered the owner was a Tudor sailor. Students discussed what life would have been like on board a Tudor ship. Meanwhile in Year 6, the children identified fragments recovered from the seabed and tried to work out what they came from. They were excited to discover that the artefacts belonged to a German aeroplane called a Junkers JU 88. 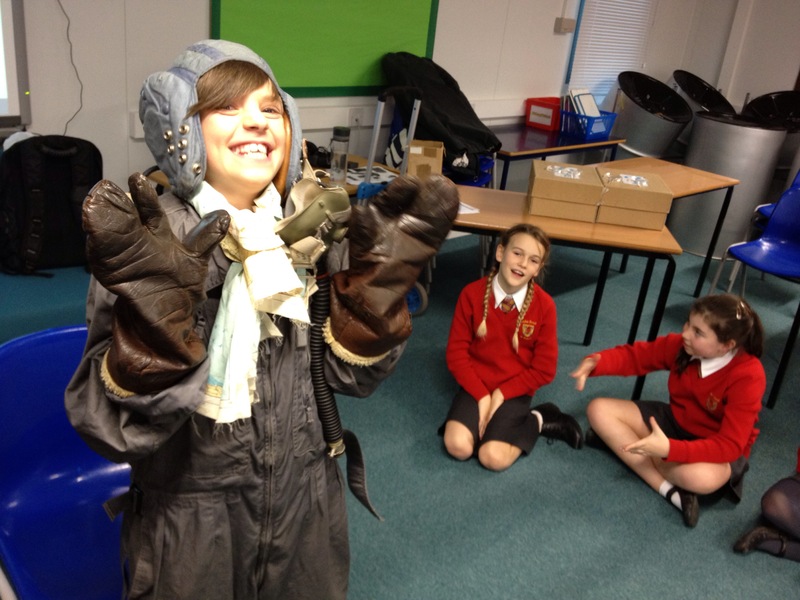 One lucky pupil from each class donned an authentic aviator’s suit. The class discussed the different parts of the uniform, including a scarf map, knife tied to the suit with a string and woolly gloves. 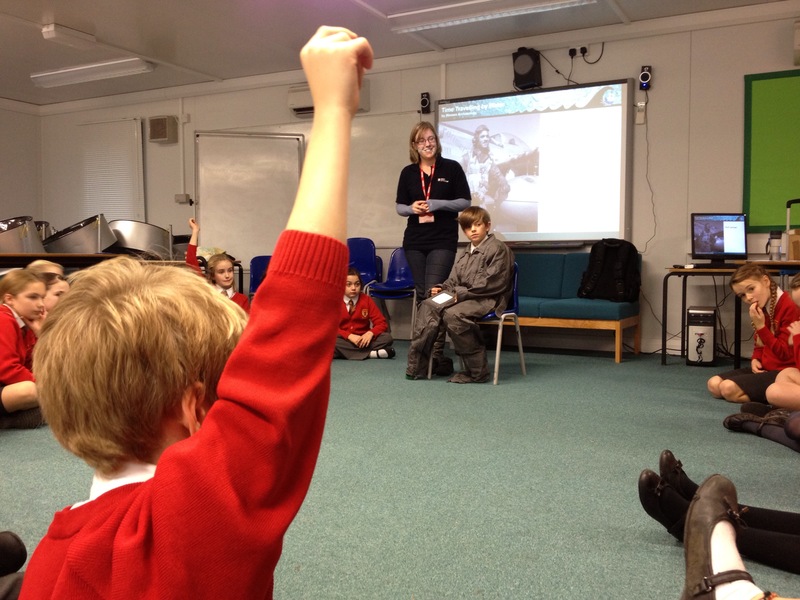 The children were brilliant and very much enjoyed learning about their maritime past.